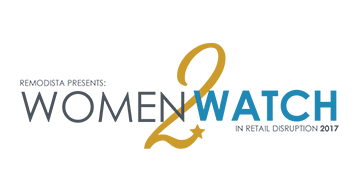 The Women2Watch program starts with a list that identifies an extraordinary group of women you need to know about. Then, we highlight them throughout the year— on this website, in our online community, and at global conferences. Finally, we cap off the year of celebration with an awards show that underscores the accomplishments and highlights our most innovative women. This year’s list of nominees recognizes 80 exceptional women who are solving business problems in the areas of operations, IoT, AI, CRM, marketing, commerce, wearables, supply chain, logistics, fin-tech and globalization. An influential group of thinkers experimenting in retail and fintech.